This certificate is awarded to those who show competence in all the skills required at the basic level. In addition, they will show that they can apply those skills in the construction of articles, as well as pass a safety test. They will begin to learn how to make the tools required for this and the third level, Forging to Dimension. 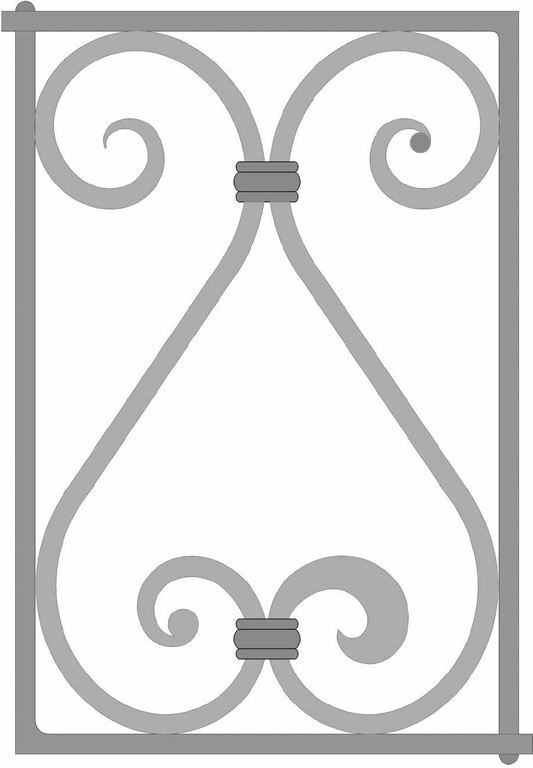 To receive this certificate, the blacksmith will present to their instructor a complete rectangular frame that uses traditional joinery (two L-shaped pieces with one end tenoned and the other punched with an upset square corner between; refer to the Intermediate Grill Drawing). The frame is to be filled with the four different ends as shown for each scroll and the scrolls collared together. It is suggested that the student first transfer the drawing onto metal and practice forging to dimension. Completion of these skills is expected to take approximately 50 hours. It is assumed that the Intermediate blacksmith has their own shop and most of the basic tools. Some of the skills (for example, making a heading plate for bottom tools) will be taught at Education Committee Instructor Workshops. The frame is to be filled with two ’S' scrolls (with different ends on each scroll) and the scrolls collared together. It is suggested that the student first transfer the drawing to metal and practice Forging to Dimension. A photo of the completed grill must be provided to the CBA magazine for publication.